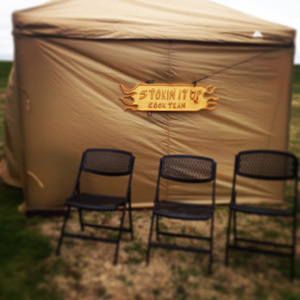 We got in the rest of our 2015 line of Stokin It Up swag, last week. By swag, of course, I just mean t-shirts and koozies. 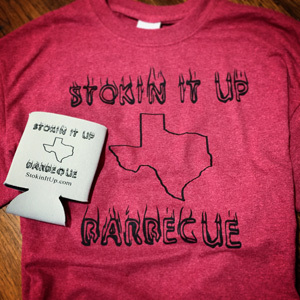 And actually we only have a few t-shirts left, so really we just have a bunch of koozies. They’re pretty cool though. They have the SIU logo on one side and a list of last year’s cook off results on the other. Ok, maybe they’re not that cool, but I like them. I was a little nervous going into this one, having not competed since early August. I haven’t taken 5 months off in quite a while. But the weekend was a lot of fun and all of our entries turned out really well. 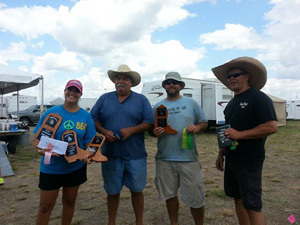 We cooked the 7th best Brisket, 21st best Pork Spare Ribs, and 21st best Chicken (not joking, they called out to 25 places) out of 84 teams. I was really proud of that, especially considering the competition. 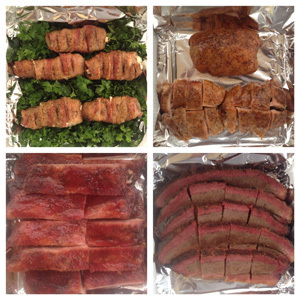 A lot of the other cookers there were also accepting awards for how well they did in 2014 in LSBS cook offs. When we picked up our trays on Friday night, Myla saw all the trophies on a table and got really excited and told me that she wanted one of them. 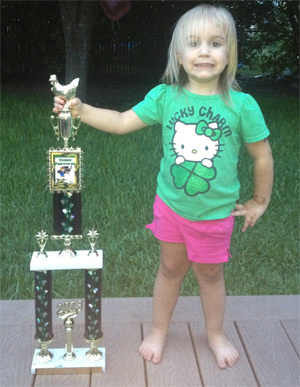 So when our number was called, she went up with me, took the trophy, and wouldn't let me have it. It was really cute. It got pretty cold Friday night, but my heater managed to keep our tent warm, at least, until it ran out of propane around 5am. Fortunately, my neighbors were cooking beside me, and they had an extra bottle I could use. It was great to get back in the swing of things. I’m planning on cooking at the Bentwood Chilifest Jan 31st and at Chilly Chili Feb 14th. So it should be a fun but busy next few weeks. I was going through the pile of clean laundry I’ve been slowly accumulating on the bed in my guest bed room when I had an interesting idea. Instead of keeping my clothes in one pile, what if I built a set of shelves for storing my clothes. Then I would be able to sort the clothes into individual piles based on type of clothing. One pile of clothes would be socks only, another would be shorts only, etc. And what if each pile was organized so that it was easier to look through, i.e. shirts could be stored right side out and folded so that the front was visible. This all seemed much more efficient than a pile of clothes on a bed. Anyway, seems like a cool idea. Someone should try it. 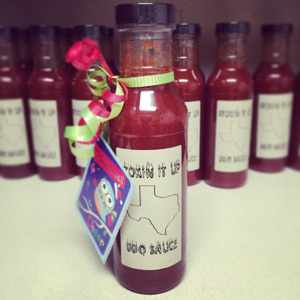 This year Stokin It Up has the hottest gift of the holiday season, Stokin It Up BBQ Sauce. Come on, you know you want one. Great new Marcel video from Dean Fleischer-Camp and Jenny Slate. Myla trying to convince me 1+1=1. M: "Daddy, I want an Oreo." M: "No, I want two Oreos." Me: "You can have one Oreo." M: "But I want two." Me: "You can have one." M: "Ok, I'll have one, and then I'll have another one." Me: "No, that's still two." Here are some books authored by my friend Frank Goerner. I would recommend them to anyone looking for a bit of light reading. They are available at Amazon. Buy them, try to read them, and, most importantly, use them to convince your friends you know about radiology. Workbook for Radiologic Science for Technologists: Physics, Biology, and Protection, 10e. Physics of Clinical MR Taught Through Images. Since I'm on the topic of light reading here is my friend Ross Falcon's dissertation "Creating and Measuring White Dwarf Photospheres in a Terrestrial Laboratory". Print it out, get it bound, and put it in your guest bathroom. Then the next time your father in law is visiting and needs to make use of your facilities, he'll have something to peruse while he *something something* white dwarf *something something* photosphere *something something* *insert poop joke here*. On the other hand, if you're going for a slightly more sophisticated use of the paper, but, like the rest of us, aren't capable of actually understanding its content, I say spend a little money and get it bound with a proper front and back cover. It could then be prominently displayed on your coffee table for your guests to pick up, read half of the title, and immediately put back down without asking any questions. Sincerely though, Frank and Ross are two dear friends of mine. We went to undergrad together, and now they both have PHDs and are published. I'm so proud of them and what they have done in their careers. 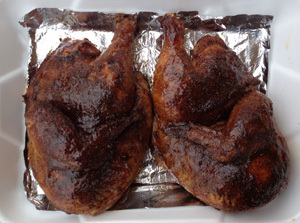 We had a great time and managed to get 10th place Chicken, but some how didn't get a photo of it. Results. 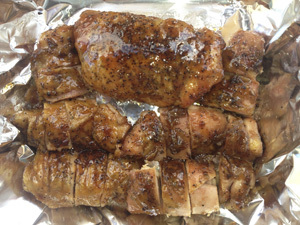 This was a the second of three in a great cook off series. We won 6th place Beans and 6th place Chicken against some strong competition. Results. 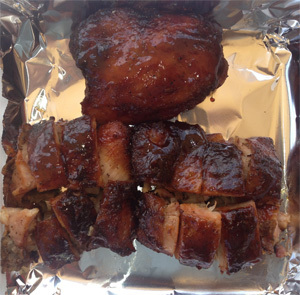 We won 3rd place Cook's Choice, 5th place Chicken, and 7th place Pork Spare Ribs. This week I won 4th place Beans and 6th place Cook's Choice. Results. The Stokin It Up corporate team made it's third annual appearance in the Capitol 10,000 this year. I went all the way to Bossier City for this cook off with my neighbors. 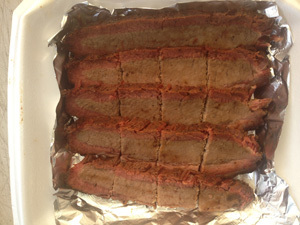 I used one of their water cookers and managed to win 15th place Pork Spare Ribs. This was another cold one. We won 10th place Chili and Final Table Beans, Cook's Choice, and Brisket. Results. I'll be cooking at Chilly Chili this weekend in Austin. More info here. 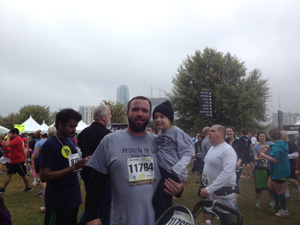 This was a cold one, but it was a lot of fun. And I got a video of Myla finding her shadow for the first time! So that really made the weekend. 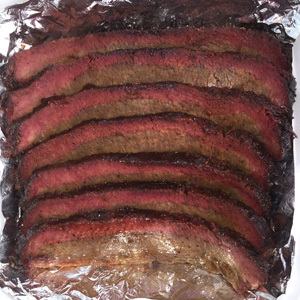 We won 9th place Brisket against some really good teams. Results. 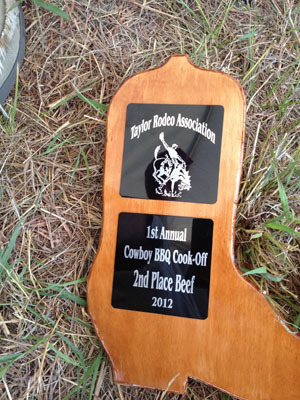 I'll be cooking in the LSBS-COTY Cook Off this weekend in Burnet. More info here. 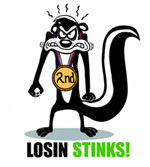 Skunked! Everything turned out well, but I didn't make a final table. 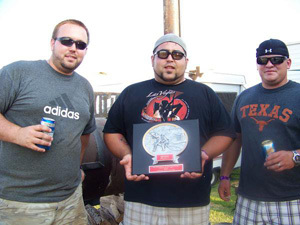 Heading down to Gruene this weekend for the Western W3 Gruene Harley-Davidson Cook Off. With 150 teams and over $30,000 in pay out, this should be a fun one. More info here. 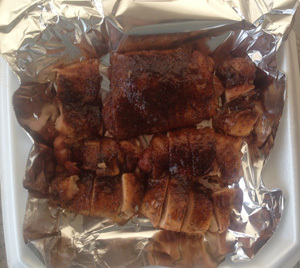 I won 6th place Chicken and Final Table Pork Spare Ribs. I'll be cooking in the Taylor SPJST cook off this weekend. 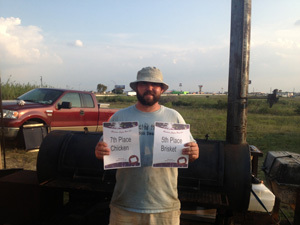 I won 5th place Brisket and 7th place Chicken. 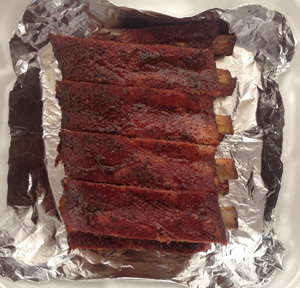 I'll be heading over to another cook off at American Legion Post 317 in Jarrell this weekend. Here's a ridiculous video that's impossible not to love. 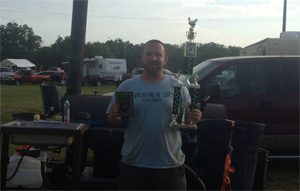 I won 3rd place Pork Spare Ribs, 6th place Brisket, 7th place Chicken, and 7th place Beans. 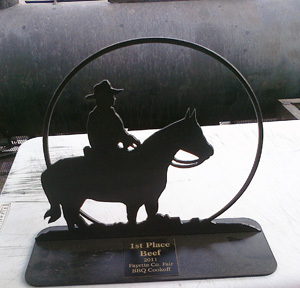 The Taylor Rodeo BBQ Cookoff is this weekend. I'll be out there cooking and hoping to get a little lucky. More info here. 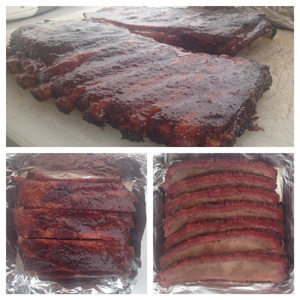 I won 2nd place Chicken and Final Table Pork Spare Ribs. 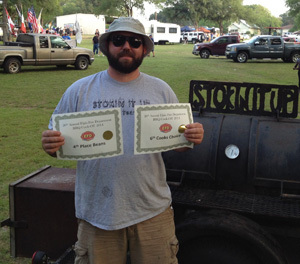 Looking forward to cooking this weekend at the Thorndale VFD BBQ Cook Off. More info here. 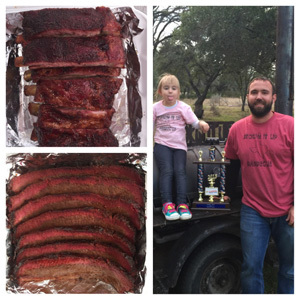 I won 1st place Exotic, 3rd place Chicken, 10th place Corn, and Final Table Beans, Pork Spare Ribs, and Brisket. My sister has a new website jaynellen.com and has started a new blog jaynellen.wordpress.com. She will be blogging about her experiences over the next two years as a Peace Corp volunteer in Benin, Africa. I can't recommend it enough. 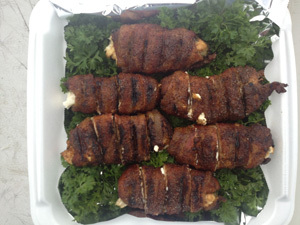 I'll be cooking at the Holland Corn Fest BBQ Cookoff this weekend. 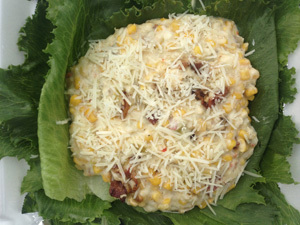 This one is CTBA sactioned and has a corn category, so we'll see how that goes. Come out and have some Que. More info here. Here's a fun article recommended by Dr. Frank. 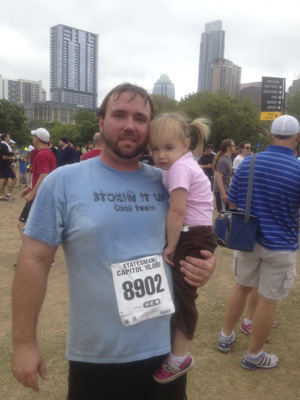 It details some important information regarding sweating in the upcoming Texas summer. 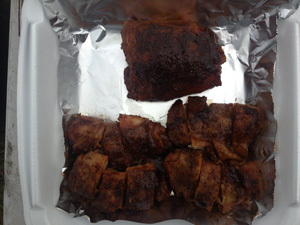 I won 9th place Open(Chicken Diablos) and 12th place Pork Spare Ribs. Results. 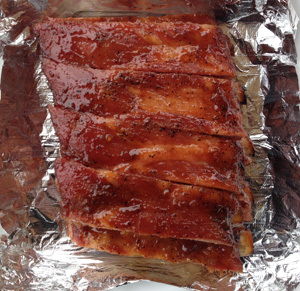 I'm heading out to Elgin this weekend for the IBCA sactioned Elgin VFD BBQ Cook Off. 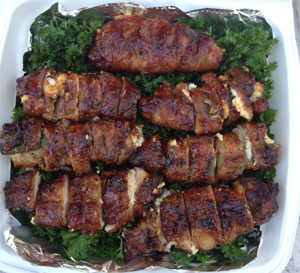 It's the first cook off of the year to have all of Cherrylawn BBQ competing. It should be a lot of fun! More info here. 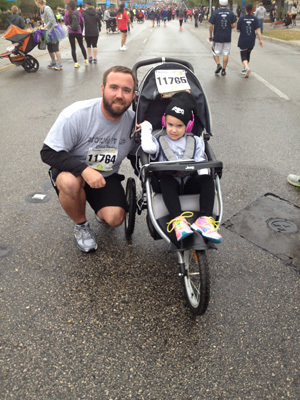 The Stokin It Up corporate team ran in the Capitol 10,000 race. 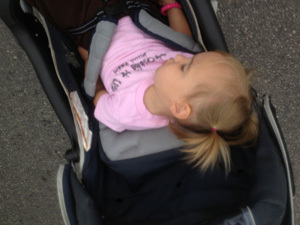 Some of our participants really put out some effort, others of us just sort of cruised. 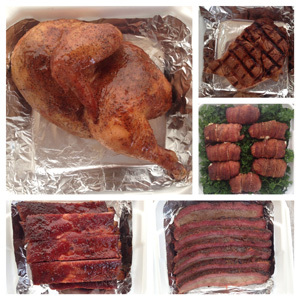 I won 10th place Chicken and Final Table Beans, Open(Bacon Babies), and Brisket. Results. 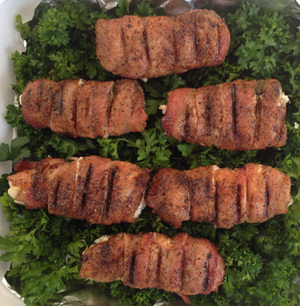 I will be cooking in the Cedar Fest Cook Off on March 23 at Twin Lakes YMCA in Cedar Park. 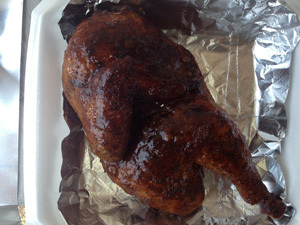 This one is LSBS sactioned, come out and have some BBQ. More info here. 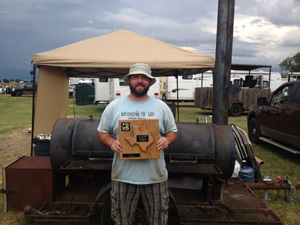 I won 3rd place Brisket and 3rd place Chicken. 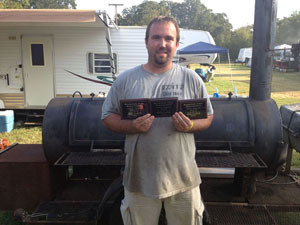 I'll be cooking in the American Legion Post 317 BBQ Cook Off this weekend in Jarrell. 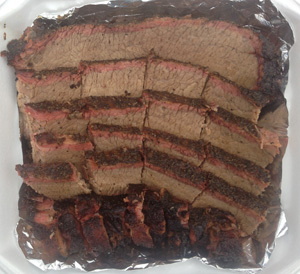 LSBS-COTY BBQ Cook Off is coming up this weekend at VFW 8787 in Austin. There should be a lot of good teams at this one, and also me. Hopefully we can stay warm. More info here. 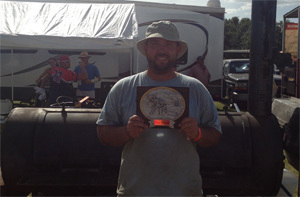 We won 6th place Brisket, 6th place Pork Spare Ribs, 9th place Beans, and 10th place Open(Shrimp Diablos). I made Final Table Open(Shrimp Diablos) and Dessert(Blackberry Cobbler). We won 9th place Wild Game. 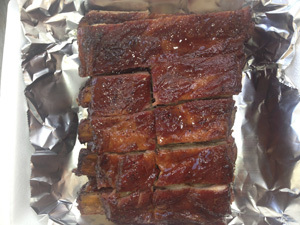 We won 5th place Lamb, 9th place Pork Spare Ribs, and Final Table Goat. 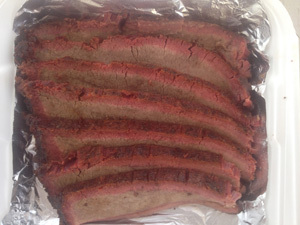 I won 2nd place Brisket. 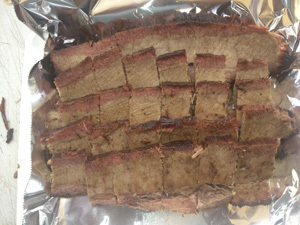 I made Final Table Brisket. 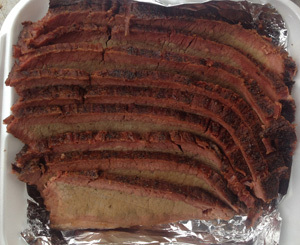 I won 13th place Brisket. 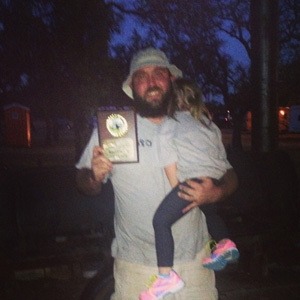 We won 1st place Brisket and 10th place Chicken. 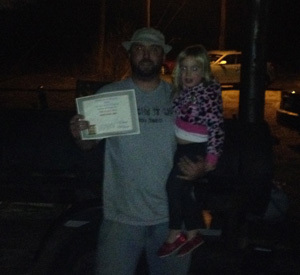 In our first time to cook on the pit, we won 2nd place Chicken.